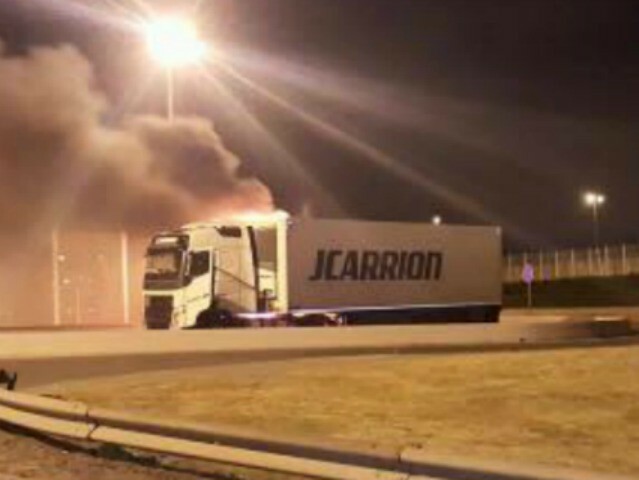 A truck driver passing through Calais has been threatened by an illegal immigrant wielding a chainsaw, during a night of violence which also saw a lorry set on fire and cab windows smashed. 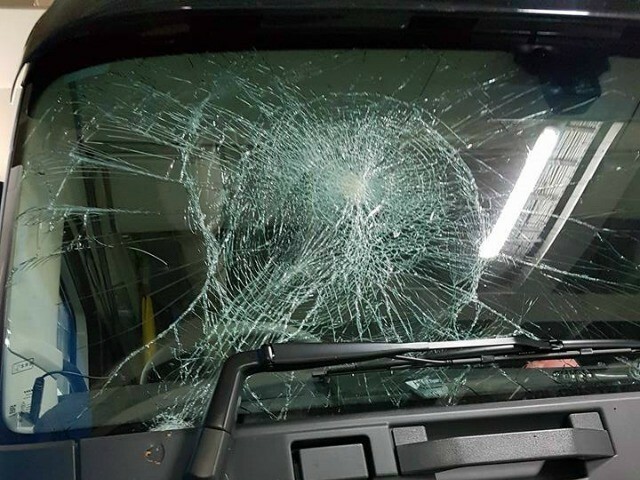 No one was hurt during the dangerous encounters, but both UKIP and the Freight Transport Association (FTA) have called for action warning that it is only a matter of time before a driver is killed. 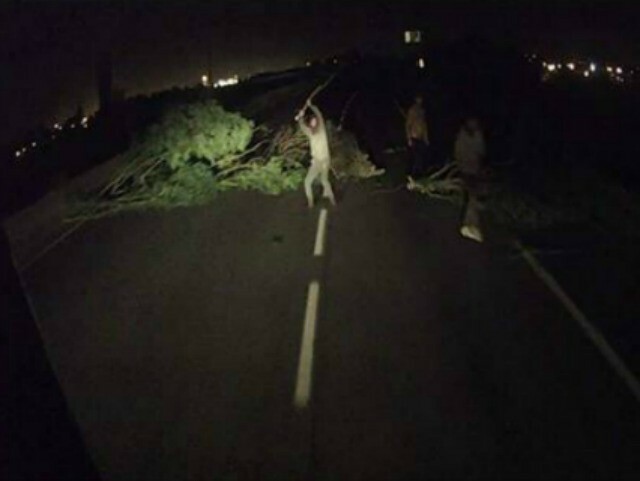 Locals have described a “night of violence” as “rioting” migrants dragged debris onto the motorway leading to the port and set fire to it in a bid to slow lorries down enough to smash their way inside. 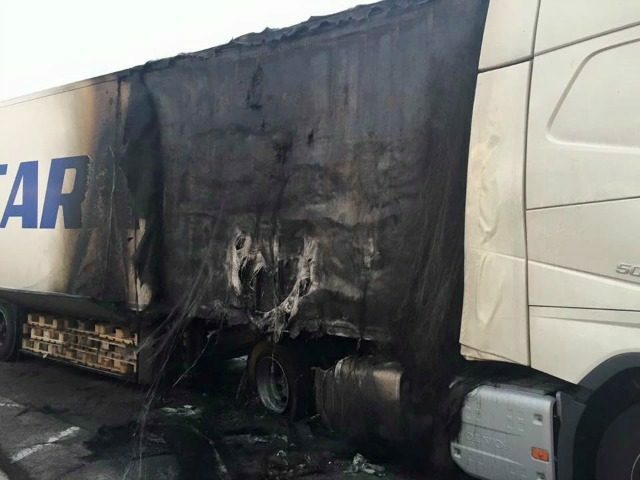 UKIP MEP Mike Hookem, who has been campaigning for better protection for British lorry drivers in Calais, agreed, warning that the situation “will end up with someone being killed unless the government gets their act together”. Despite efforts by the French authorities earlier this year to clear the notorious Jungle migrant camp on the outskirts of Calais, the number of migrants using the camp as a base from which to make the journey to the UK has now risen to a new high of around 7,000. The local major, Natacha Bouchart, has vowed to once again clean out the camp but migrants are unwilling to move into official accommodation amid concerns that they will be forced by the authorities to register for asylum. “I’ve heard many migrants tell me personally they will do anything to get to the UK and they have no interest in staying in France because they don’t speak the language and they won’t get a house, education and health care,” Mr Hookem said. Lawlessness is rife at the camp; just a week ago an Ethiopian was hacked to death and six others severely injured during a brawl between 200 Afghans and Africans which broke out in the early hours of Tuesday morning. Yet while the authorities puzzle over how to handle the situation, drivers are expected to daily run the gauntlet to ensure that goods continue to travel between the UK and the continent. Chris Yarsley, FTA’s EU Affairs Manager, called for practical measures to move the Jungle away from the port. “These drivers are just trying to do their job, moving goods from Europe to the UK through the country’s busiest port,” he said. 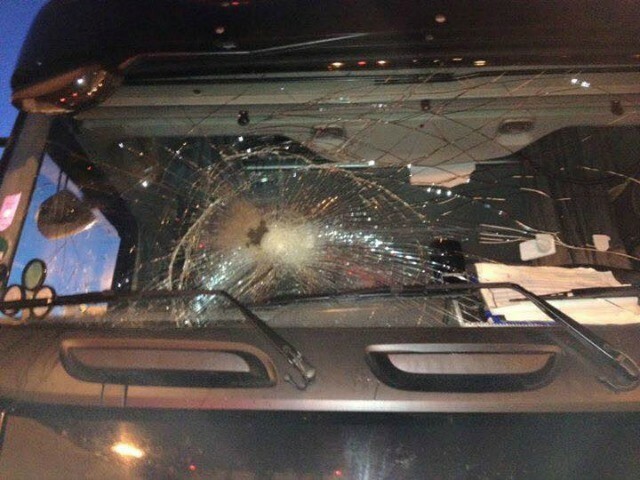 “Attacks like this are unacceptable and more needs to be done to protect them as they go about their work. Mr. Hookem warned that not responding would only exacerbate the situation. “These drivers are doing vital work for the UK so we need to look after them,” he said. “I’ve seen the response from the French police and it is not sufficient. It needs some military backup to get this situation under control but of course the last two governments have completely run our Armed Forces into the ground whilst expecting their work load to stay the same.